Bizarre Bazaar returns with over thirty emerging fashion designer stallholders, live performances by local bands and a live mannequin installation. Looks to be another a great night. BB markets are held every 3rd Sunday of the month, every 2nd month. Don’t forget to cash in on our Summer sale! Yes, we know it’s freezing and the last thing you want to do is to bare your skin. Good news, our Summer stock can still be worn in the colder months by teaming it with a blazer or some opaques. Better still, like all our friends, you could be rockin’ rain&hale in the European sun to escape the cold. 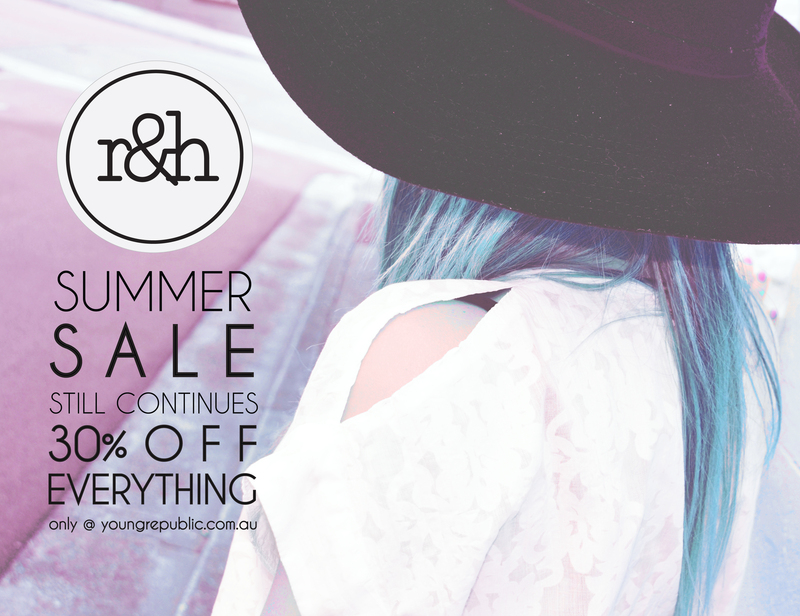 Whatever you decide to do, you can find all our sale items at our Young Republic store. We only have one of each style left, so get in quick girls! If you’ve been eyeing something off, todays the day. Most products are almost sold out as we only make a sweet few. 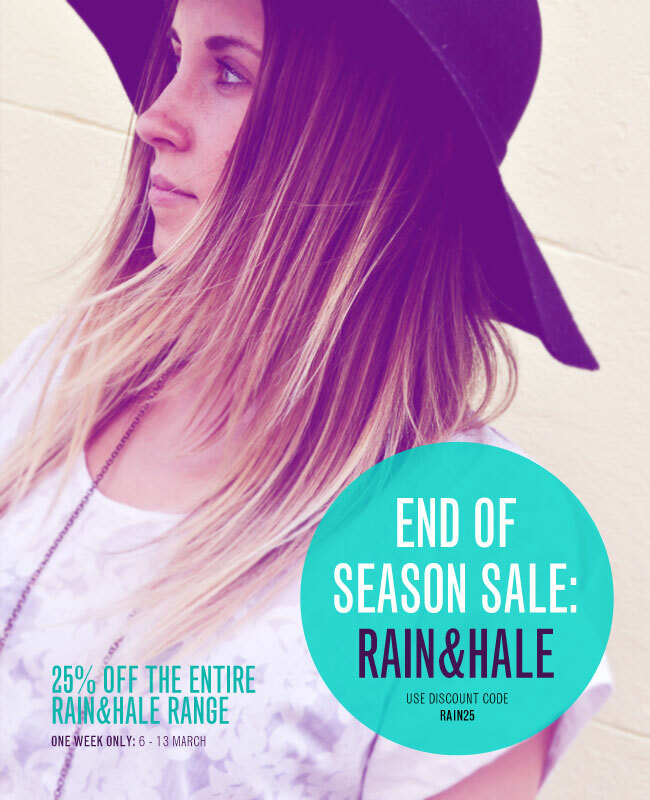 25% off rain&hale on Young Republic!! To celebrate our collaboration and launch at online designer site ‘Young Republic’ we are giving 25% of the full R&H range to all customers that purchase through our fancy new Young Republic store. Get behind us and other emerging Oz designers and ‘like’ YR on FB here. ***Sale runs between 6th-13th March only. In case you’re new to this area of the r&h empire, we’d like to let you know that at the beginning of this year we at rain&hale designed and launched our first Sydney inspired, hand-made women’s range and have been successfully spreading the love via our online store and at market stalls in and around Sydney. Recently we were invited to join the ranks, along with some of Australia’s most talented emerging designers, at the gorgeous online store ‘Young Republic’. 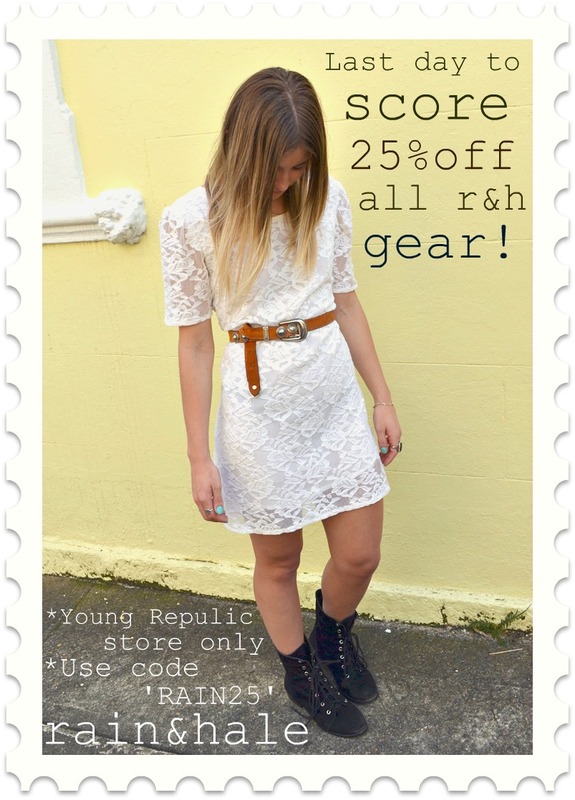 The official rain&hale store for Young Republic was launched today so click on the pretty picture to check it out!! !